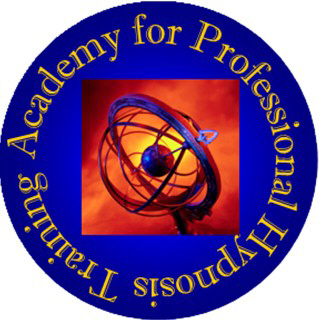 The Academy for Professional Hypnosis Training offers certification courses in hypnosis in a warm and friendly environment. Ten-day intensives are held in Los Angeles, CA and Wisconsin. This exciting class covers both basic and advanced hypnosis. The pace is accelerated and thorough. 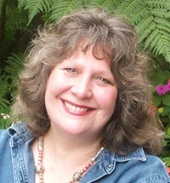 Classes with nationally recognized instructor Mary Elizabeth Raines are comfortable, nurturing, life-changing and fun! Please see http://www.hypnosiscourse.com for additional details and tuition. Alchemical Hypnotherapy utilizes profoundly transformative hypnosis protocols to help people access inner archetypal resources to heal emotional traumas and to access their own inner healing resources for the resolution of physical and emotional issues. Founder and Director: David Quigley BA CHT. Certified Hypnotherapist and owner of "Aldebaran Hypnotherapy and Training Center" serving the public to overcome issues such as , Smoking, Weight Managment, Stress Management, Cumpulsive disorders, Phobias and Fears, Self Esteem, Pain Management, working with children and much more, using Regression Therapy, Parts Therapy and Guided Imagery to help my clients achieve true self empowerment. I am also a Hypnosis and Hypnothrapy Instructor, teaching with the World Reknown Author, Lecturer and Instructor of Hypnotherapy, Mr. C. Roy Hunter. Become certified in just 3-months as a Hypnotherapist. 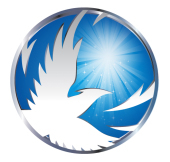 Infinity Institute is a state licensed school of hypnosis training founded and operated by Anne H. Spencer, PhD since 1980. The school offers courses in Hypnotherapy, Forensic Hypnosis and Therapeutic Touch as well as other Specialty Workshops. Affiliate schools worldwide. Nurses and other professionals earn Continuing Education Hours. 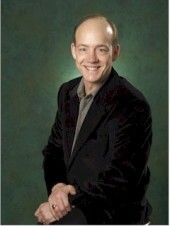 Devin Hastings is a pioneer in the world of hypnotism with over 25 years of experience. 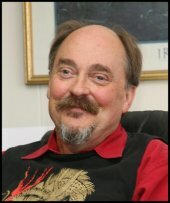 He is the president of the Minnesota Institute of Advanced Communication Skills (www.miacs.net) which is a state licensed school that certifies people in advanced persuasion fields including hypnosis and NLP. Devin is a Board Certified Hypnotist with, and a leading presenter for, the National Guild of Hypnotists (NGH) and he is also a Hospital Certified Hypnotherapist with one of America’s Top 100 hospitals, Winchester Community Hospital located in Massachusetts. Devin is also the recipient of several prestigious awards granted by the NGH including the Ormond McGill Award and the NGH Hypnosis Research Award for his groundbreaking work in successful applications of hypnosis for diabetes. Devin’s custom created, award winning seminars and workshops have been presented all around the United States as well as overseas for organizations such as the Better Business Bureau, AT&T, Florida Law Enforcement Agencies, The AARP and The Association of Professional Hypnosis and Psychotherapy. Hypnotherapy training, private sessions, personal and professional growth classes, self hypnosis tapes, books, EFT training, Reiki master. Hypnosis works to relieve symptoms of several medical issues: IBS, FMS, migraines and pain. Offering private sessions for weight, smoking, self-esteem, public speaking, personal growth and more. Classes for self hypnosis training, EFT and Finding Your True Self. We also offer books for professional hypnotherapists. Six course curriculums that are ready to teach, books of scripts and a business book. Canam College offers by correspondence, over 100 programs in Holistic Health, Nutrition and Herbs, Woman's Health and Beauty, Stress Management, Counseling, Sports & Fitness and Health Care. * A qualified tutor is assigned to program to work with you. Hello! 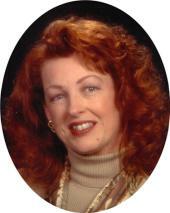 My name is Robin E. Jones and I'm a board certified Hypnotherapist and Instructor of Hypnotherapy. I've always been interested in hypnosis and hypnotherapy, from the time I graduated high school I was already studying hypnosis. But it wasn't until I went through a very stressful time in my life, that I was encouraged to seek the help of a hypnotherapist. The benefits to me and my family were more than I ever could have hoped for. Recognizing the value, I decided to study to become a hypnotherapist and I have a great sense of satisfaction seeing others achieve similarly positive results. My clients have brought me more learning experiences over the years that have equipped me to help new clients in almost any situation. I also offer EFT (Emotional Freedom Technique) and Reiki. Hypnotherapy, hypnobirthing, NGH hypnotherapy certification training and past life therapy. Christa also does energy balancing, health assessments, a powerful empowerment class for healing women's cancer and RoHun therapy - a rapid acting energy psychotherapy, individually or as a group, and "Becoming Conscious" - a 10-week PERMANENT weight loss program. Christa is available to do hypnotherapy for healing cancer, diabetes, A.D.D., tinnitus, alcoholism and more. Locations in Black Mountain and soon to be in Charlotte, NC. 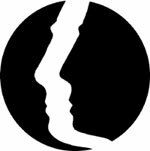 The British Society of Clinical Hypnosis exists to regulate the fair and ethical practice of Hypnotherapy and provide a referring link between the public and practitioners. We provide a national database of qualified professional hypnotherapists across the UK, which is also searchable from our web site. At our Counselling Hypnotherapy Centre Clinic you can quit smoking (guaranteed! ), lose weight, master The Universal Law of Attraction: the ultimate life coaching system for success, boost confidence, let your love life be fulfilling, heal emotional pain, break free from fear, learn to relax deeply, gain clarity about what do you want to experience in your life, and discover a powerful source of motivation to achieve your goals. Also, if you are medically cleared but still have a symptom, give hypnotherapy a chance: The Mind – Body connection holds many secrets! Counselling Hypnotherapy Centre School is Authorized by Human Resources Development Canada as an Educational Institution for issuing income tax receipts for tuition fees. 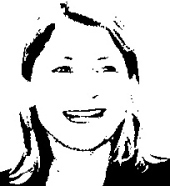 Ivona Zager, M.A., C.I., M.C.H. Hypnosis sessions to Quit Smoking, Lose Weight, for Exercise Motivation, Bariatric Hypnosis (Virtual Gastric Band Hypnosis), Stress, Fears, Past Life Regression, Athletic and Academic Improvement, Golf, Test Fears, Public Speaking, Anxiousness, Worry, Habitual Sadness, Confidence, Self-esteem, Worthiness, Getting over Loss, Relationships, Emotional Blocks, Pain Management, and more. We work with health issues with appropriate referrals from your medical or psychological professional. If you don't see your concern listed here ask. Hypnosis is available in person or via Skype. 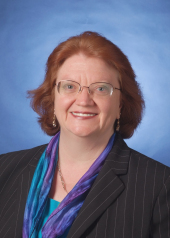 HypnoCoaching Sharon Gage is a Certified HypnoCoach™ which is a Certified Hypnotist that combines Traditional Life Coaching with Hypnosis, NLP, Guided Imagery, and other hypnotic tools for the client's maximum benefit. This utilizes both the conscious mind (coaching) and subconscious mind (hypnosis)for maximum results. This can be done in person, by email, phone or Skype. We also offer traditional Life/Success Coaching. Available in person, e-mail, phone or via Skype. Hypnotist Training and Certification We provide National Guild of Hypnotist's (NGH) training and certification. The course consists of 100 hours of in person instruction, training, hypnosis practice, research, and self-work. We use the NGH curriculum and course materials, additional handouts and information from the instructor is given. 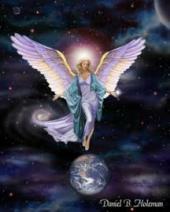 Reiki We offer Reiki sessions for stress, healing, and general wellness. In addition we train and certify for Reiki I, II, Advanced Reiki (III) and Reiki Master/Teacher. We also offer hypnosis, meditation, and mindfulness for groups, workshops, for parties and more. We have a line of hypnosis, meditation, and Guided Meditation Cd's and Mp3 downloads at www.createchangehypnosis.com on the Products page. 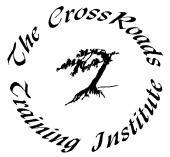 The CrossRoads Training Institute is the international career training division of the CrossRoads Counselling Group and has been devoted to training in the complementary medical/behavioural health care field since 1999, in order to help people in their personal and professional development. All of the training is designed to expand the participants' awareness of themselves in their everyday personal as well as professional lives. The CrossRoads Training Institute has always been innovative in the presentation of content to enhance the value of our programs. Now we are taking our highly recognized "onsite" training and offering it through this Online Virtual Classroom environment. Our on-line training in a virtual classroom is structured for those students who would not be satisfied with a typical "short term intensive program" but rather are career motivated to be professionally qualified Clinical Hypnotherapists. Because our courses are on-line in a virtual classroom they can be attended from anywhere in the world, at any time to meet the needs of our students. Our clinical program of study covers the works and methods of Milton Erickson, M.D., Dave Elman, E.A. Barnett. M.D., John Kappas, Ph.D., Michael Yapko, Ph.D., V.R. Saunderson, D.Min. and other innovators in the profession. All our programs have been developed from over 25 years of clinical professional experience as therapists. Dave Hill is called "The World's Greatest Hypnotist" for his hilarious and awesome Comedy Hypnosis Show.Dave is in demand as a public speaker for his Hypnotic Selling, Persuasion, Motivation, Wealth - Building, and Fire - Eating Seminars. 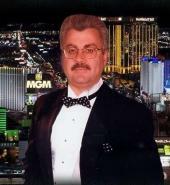 Dave is also the founder of the famous "Success Coach School of Hypnosis." Since 1984, David Quigley has provided approved professional hypnotherapist training in Santa Rosa, CA and around the world. Products include books by David and "Alchemical Journey" guided hypnosis tapes and CD's, and on the website an extensive library of articles on self-healing with hypnosis. 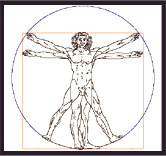 Alchemical Hypnotherapy synthesizes techniques from many modern schools of Transpersonal Hypnotherapy and Psychology. We prepare students to use hypnosis in their work as hypnotherapists, Somatic Healing Practitioners, hypnotherapeutic body workers, and group therapy facilitators. We also offer Personal Growth programs, workshops and seminars. Hypnotherapy courses from Elestial Training UK Ltd, offering hypnotherapy students who want to learn hypnotism one of the best hypnosis / hypnotherapy training courses in the U.K.
Hi, my name is Connie Hambrock and I have a Holistic Center in Herndon, Va. I enjoy working with all people from infants through geriatrics. My primary focus is working with people through energy and bodywork to come to peaceful, relaxed and pain free existence within themselves. CranioSacral for head injuries, migraines, and birth trauma. All ages and processes can benefit from massage and bodywork. I am proud to be able to provide my talents to that aim. Within an Integrated therapeutic bodywork session I use many techniques to achieve our session's goals. These techniques may include:Swedish Massage, Aromatherapy,Trigger point, Healing Touch,Somata-Emotional release, Ortho-bionomy, Guided Imagery, and Still point releases just to mention a few. I also enjoy working with pregnant mothers or want-to-be pregnant mothers and their babies. I am a HypnoFertility or Infertily coach. I teach HypnoBirthing couple classes and a Birth Doula,working to help the Mother, baby and Father to create the best possible birth experience together.I enjoy being there at the birth, teaching infant massage and doing CranioSacral with the infant to increase digestion, circulation and brain function sooner. As one of the first hypnotherapy schools in the US, HCH Institute for Hypnotherapy and Psycho-Spiritual Trainings provides CA approved and registered professional certification courses in Hypnotherapy, Energy Therapy, Coaching for Helping Professionals and Parapsychological Studies. HCH offers the most thorough training available providing 200 hour Hypnotherapy Certification courses and on-site internships where graduates provide hypnotherapy, EFT, Reiki, and Coaching in the HCH low-fee clinic. Our graduates are the most highly trained and competent in providing ethical, empowering and skillful services that support clients in healing themselves. $30/session by appt. at clinic w/ interns. Video conference sessions with Holly available.